The International Criminal Court (ICC) has always had something of a phobia of politics. The Court has a deep-seated fear of appearing to be political. The Rome Statute and only the Rome Statute, its prosecutors insist, informs its decision-making. Politics simply cannot and does not affect or impinge on any decisions the Court makes. To admit otherwise would somehow destroy the integrity and independence of the Court. To many observers, however, the ICC isn’t just in denial. The idea that the ICC isn’t or shouldn’t be political is neither possible nor desirable. Sure, the Court shouldn’t be beholden to the political interests of the most powerful states. But in a world dominated by self-interested and easily distracted states, the Court needs to be political and to act politically in order to survive. Without politics, international criminal justice would be a tick-box exercise alien to those against whom political violence and crime have been perpetrated. Without embracing its politics, the ICC would never be able to fulfil its ultimate promise, one that is itself fundamentally political: a world in which the prosecution of atrocities is a well-established and entrenched norm. Of course, the ICC’s Office of the Prosecutor (OTP) does practice politics if for no other reason than the fact that it has to. Residing in the uncomfortable intersection between law and politics, the OTP can’t simply say that law is its territory and politics is the prerogative of other actors. It cannot wish politics away, nor should it. Thus, the question we need to ask is not whether this or that decision by the ICC is “political” or not. Rather, we need to ask whether the decisions the Court makes with regards to its selection of situations and cases, its relations with states, and its communication strategies are politically intelligent and positively contribute to propelling international criminal justice as a project. All of this is a rather long-winded lead-up to the main focus of this post: the political decision by the OTP to really up the ante on justice in Darfur. As I wrote in my last article, we are still waiting to know what will define the tenure of current ICC Prosecutor Fatou Bensouda. But one of the most obvious differences between Bensouda and her predecessor, Luis Moreno Ocampo, is her timidity in public relations. Where Moreno Ocampo chased the spotlight and thus claims a legacy of putting the Court ‘on the map’, Bensouda has been much more measured in her public appearances. That is, with the exception of one case: Darfur. Towards the end of last year, Bensouda took the rather remarkable decision of ‘hibernating’ active investigations in Darfur. 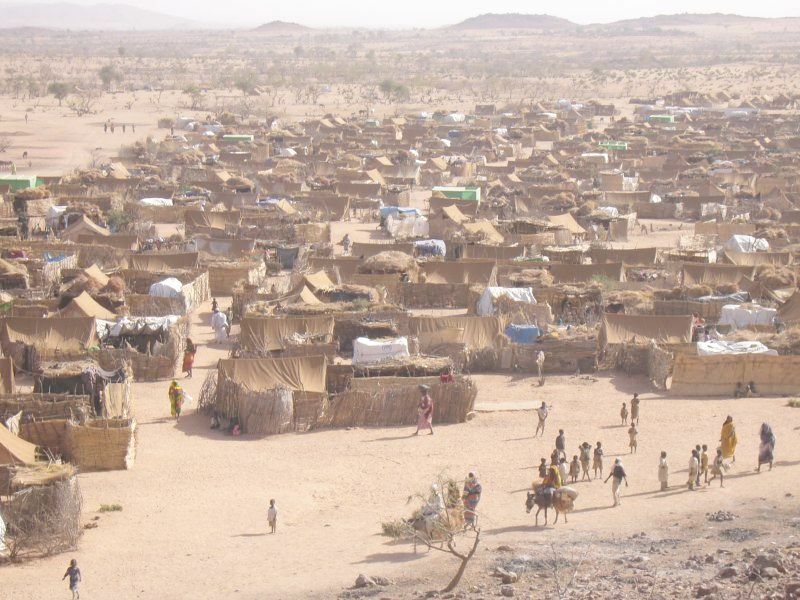 After having referred the situation in Darfur to the ICC in 2005, the United Nations Security Council has done close to diddly-squat to support the Court’s investigations. Some seven years after the ICC charged Sudanese President Omar al-Bashir with war crimes, crimes against humanity and genocide, he remains in power. On one of her bi-yearly visits to update the Security Council on her investigations in Darfur, an evidently frustrated Bensouda essentially told Council members that their complete lack of interest and support for the ICC’s work made continued investigations in Darfur pointless. In international justice circles, Bensouda’s challenge to the Security Council was met with widespread approval. The relationship between the Council and Court has long been a sore point for observers of the ICC, a problem made worse by the OTP’s periodic moments of infatuation with the Security Council as well as its history of pandering to its permanent members. Bensouda’s Security Council visit signalled a different – and welcome – tone. Still, surprising exactly no one, the Security Council returned to doing diddly-squat on Darfur. More recently, in a moment that grabbed headlines across the world, Bashir visited South Africa, a traditionally strong supporter of the ICC. The implications of his visit have been covered elsewhere, but it has taken some time for the prosecutor to express the OTP’s views on the controversy. Smartly, Besnouda picked her spot and took the opportunity to do so on her latest visit to the Security Council. The question we need to ask of ourselves today is whether the people of Darfur, Sudan who continue to endure the suffering widely recognised by, amongst others, the Mbeki Panel and the African Union, will ever receive the justice they deserve? Will their plight be finally answered through independent and impartial justice, or will their cries continue to face silent inaction? That represents quite strong language for an otherwise apprehensive Prosecutor. More importantly, it touches on the much-neglected elephant in the room – the fact that the case of Darfur – as well as other recent situations under ICC investigations such as Kenya, have long ceased being about justice, ICC-style or otherwise. Instead, they are sadly situations dealt with on the plane of high diplomacy and realpolitik. Of course, all of this could just be huffing and puffing without taking anything or anyone down. But maybe, just maybe, if Bensouda can get through to states on the Council, discussions on Darfur can revert back to a debate about how justice for the victims and survivors of mass atrocities in Darfur can be achieved. Either way, making politically salient statements, as well as playing a bolder and more shrewd political game with the Security Council, is a long overdue and welcome development. This article was originally posted at Justice Hub. This entry was posted in Darfur, ICC Prosecutor, International Criminal Court (ICC), International Criminal Justice, Office of the Prosecutor, Sudan and tagged Omar al-Bashir. Bookmark the permalink.